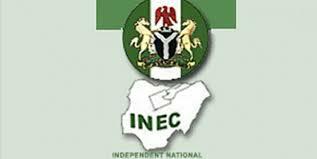 The Independent National Electoral Commission (INEC) has said that supplementary elections will be held in four state constituencies in Rivers State on Saturday 13th April, 2019 in line with the timetable it released earlier for that purpose. A statement signed by the National Commissioner and Chairman, Information and Voter Education of the Commission, Mr. Festus Okoye yesterday have the names of the affected state constituencies to include; Gokana, Opobo/Nkoro, Ahoada West and Abua/ Odual with a total 261, 683 voters. Okoye said, “The Commission met today (yesterday) 4th April, 2019 and reviewed the conduct of the just concluded Rivers State collation exercise. The Commission expressed satisfaction with the outcome and commended the security agencies for their professionalism which ensured the peaceful conduct of the exercise. “It also commended the political parties, domestic observers and international observers and other stakeholders and the people of Rivers State for their support and understanding which paved the way for the speedy and orderly conclusion of the exercise”. On the pending Imo North Senatorial election, the INEC Commissioner disclosed that the commission also deliberated on the conduct of the election held on the 23rd and 9th March, 2019 where it noted a number of issues arising from the election and set up a committee to look into them. “The committee is to ascertain the veracity or otherwise of allegations of misconduct in the election. It is also to advise the commission on whether its procedures were complied with by officials. The committee is to submit its report on Wednesday 10th April, 2019”, he said.